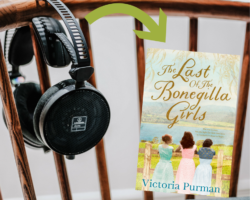 The Last of the Bonegilla Girls will soon be published as an Audiobook with Bolinda. Perfect for listening to on long road trips, while you’re out walking, or as you drift off to sleep! I was given the opportunity to choose the narrator and I know you’re going to love her take on the story.